This Research Group has among its aims study and analyzes the impact of the regional integration processes in the international relations and its impact in the global governance areas. By understanding the relations between relevant actors in an ever more globalized international landscape, our research group it is focused in the inter-regional dialogue between European Union-Latin America and Caribbean, and how this dialogue can contribute to a better global governance, across to defend of principles and values as to peace, democracy, human rights and the rule of law; as well as the pursuit of the social cohesion and sustainable development. Director, Inter-Regional Dialogue and Global Governance Research Group: Prof. Dr. Mario Torres Jarrín, he is Director of European Institute of International Studies, Associate Lecturer, Department of Romance Studies and Classics, Faculty of Humanities and Associate Researcher, Institute of Latin American Studies at Stockholm University. 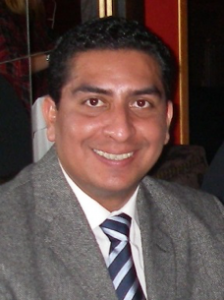 Member of the Bi-Regional Academic Council of the Permanent Academic Forum Latin America and Caribbean-European Union. Executive Secretary IBERO-EURO-AMERICA Consortium and Director of EU-CELAC Chair and Director of Global Iberoamerica Chair. He has a PhD in History, Faculty of Geography and History at University of Salamanca (Spain); Master in European Union Studies, Faculty of Law at University of Salamanca and Bachelor in Business Studies, Faculty of Economics and Business at the University of Salamanca. In the core of a country’s development is a well functioning fin ancial system and an active and efficient private sector. This Research Group is focused in the different dynamics that are related to economic growth, delving into areas such as entrepreneurship and innovation, corporate governance, access to financial services and the business environment in general, together with the inter-linkages that tie such financial developments to financial regulation and geopolitical developments, this Group presents research projects with a well informed insight presenting recommendations and actions. Overall the aim of this Group is to promote sustainable development and poverty reduction through our different programmes and publications. Director, Finance and Private Sector Research Group: Prof. Dr. Kassim Durrani, he is Research Associate, Macquarie University, Research Associate in the Centre for International Financial Regulation (Centre for International Financial Regulation (CIFR) and Research Consultant, Australian Prudential Regulation Authority (APRA). He has a PhD in Financial Economy from the University of Sydney and Bachelor of Commerce at University of Sydney. This Group is concerned with the different aspects related to the support of sustainable democracy worldwide, from electoral processes, political participation/representation, to constitution building processes, the activities developed within this Group utilize the knowledge its experts in democracy in order to contribute, in different ways, to the promotion of healthy democracies. This Research Group also develops academic programs for high ranking officials, and other relevant democratic actors, in order to provide the necessary tools to promote democracy through a sound understanding of both classic literature and previous real life attempts at tackling challenges that any democracy may encounter. Director, Democracy and Rule of Law Research Group: Prof. Dr. Magnus Lembke, he is Research Secretary at the Institute of Latin American Studies, Stockholm University, and Associate Lecturer at the Department of Political Science, Stockholm University. He has a PhD in Political Science, Department of Political Science at Stockholm University and Bachelor in Political Science in Stockholm University.